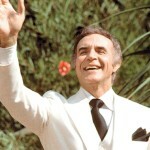 Is Fantasy Island And Mr.Roarke Real? Yes the classic television show “Fantasy Island” from 1978 is in fact based on a true story. Although as with most of the TV shows, and motion pictures based on our supernatural reality they take some liberties. 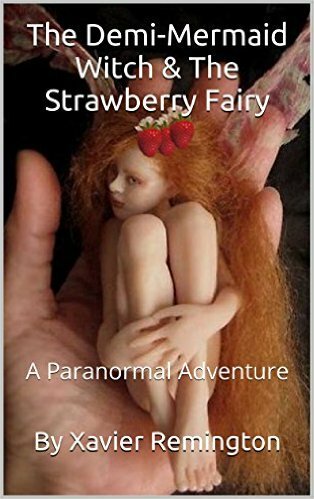 They actually have to due to the restrictions of the Supernatural Secrecy Pact but they are allowed to disguise the truth in what appears to be a fictional tale. Many television shows, movies, and books are telling the unknown paranormal tales of our planet without most people’s knowledge. Now we will reveal to you the secrets of Mr.Roarke as we welcome you to the world of Fantasy Island where dreams become reality! The mysterious Mr.Roarke, Host of Fantasy Island, welcomed new guests to his Pacific Island paradise each week. Special guests who paid big money to live out the fantasy of their choice. Fantasies that had a life of their own to the point of Mr.Roarke not even being able to magically intervene despite hints of his awesome powers. Powers that allowed him to take on dark forces such as the Devil. Roarke cared very much for the safety of his guests, and would warn them in advance that their life could be in jeopardy! That their fantasies might evolve into something they hadn’t necessarily wished for to begin with. He would sometimes help those in danger when he could but seemingly without using paranormal powers most of the time. Just about every fantasy ended up teaching the guest a valuable life lesson thereby changing their life for the positive in some way. This despite the various unforeseen negatives of the fantasies that appeared to take people to places, and times outside of the current day island itself. Guests had to pay what was considered a large amount for them to prove the seriousness of their requests. At one point in the series Roarke quoted the amount $50,000 for a three day stay. Others were specially chosen by Roarke for his own reasons, or to be apart of other people’s fantasies since all wishes were to be real. The granting of free wishes, and fantasies was Mr.Roake’s way of donating to charity. Fantasy Island is indeed a real mystical South Pacific island just like in the TV show but it’s cloaked from the view of ships, and satellites. It’s thought to be a major supernatural vortex that can lead to any place, time, and parallel Universes as many of the fantasy wishes granted to guests take place off island. The power source of the Island is considered to be Mr.Roarke himself. The show never gives us an explanation of the island, or who Roarke is, but now for the first time we are proud to share the mystery of the real life Mr.Roarke with you. What Is Mr.Roarke From Fantasy Island? Mr.Roarke is the only known Jinn-Angel Hybrid in existence known as a Jinangel, or Angelinn depending on which parent was the most powerful. In this case the parents might have been evenly matched. 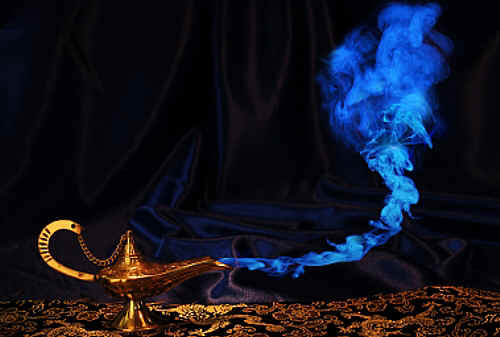 The mating of a Jinn, or Genie, and an Angel is considered the most forbidden of unions in the Universe. It’s considered an even greater blasphemy than the union of an angel, and a demon as is the case with the infamous Queen Of Halloween Shala. It seems that several thousands of years ago an Angel, Roarke’s Father, was on Earth for a Heavenly mission when he fell in love with a bottled Jinn, aka Genie, Roarke’s Mother, that he found on a beach. He used his Angelic powers to free her, and upon that very beach Roarke was conceived! Barely a day later Baby Roarke was born! The Jinn-Angel union has one the fastest gestation rates in the supernatural world. Almost immediately Roarke, and his parents were on the run though all manner of places, times, parallel realities, and even a multitude of Multiverses as they all had a bounty on their head from both Jinn, and Angels. One day Roarke’s parents gave him a task to perform on his own, and upon returning he discovered his parents were missing. He never saw them again! That was several thousands of years ago, and there is no word on their current status. As a Jinangel it seems that most of his powers were latent in the same way humans can’t completely access the awesome powers of their higher dimensional souls. Still he had some power but tried to keep a low profile so as not draw attention to himself as he weaved his way though the centuries as an Immortal helping humanity out where he could. Unfortunately so much time passed that inevitably attention was drawn to him as he gradually came to know Gods, Goddesses, sympathetic Angels, Ghosts, understanding Genies, Mermaids, and even the Devil himself. Roarke eventually had angry Angels, Jinn, and even Demons after him until some powerful Scottish Demigod Sorcerers of the McNab Family, who drew upon powerful Earthly God connections, granted him safe haven on Fantasy Island. The Island was a gift for his part in saving a McNab child from demons hell bent on possessing the child’s powerful soul. The Demigod Sorcerers were able to access Roarke’s true awesome power but only by channeling it into the mysterious island which was a place where Gods used to live. His new ability to grant fantasies through the island is known as “The Gift Of The McNabs”. Mr.Roarke has sole magical control of the island. At least when it comes to initiating fantasies. Thanks to the Demigods, and their Godly parents it became extremely difficult for his various paranormal adversaries to take him down. Jinn-Angel heritage. He wished to help humans out by allowing them to live out their fantasies, and in the process become a better person. The Island itself is cloaked due to it existing slightly out of phase with most realities unless Roarke temporarily phases it in for guests to find. The Island hosts guest from all manner of parallel Universes, and even times in the past, and future. It’s even been known to travel to other planets thereby having extraterrestrials as guests. It in essence travels everywhere along with having portholes to just about anywhere imaginable as well. His tiny sidekick, Tattoo, is a wrongly banished Leprechaun he met in Ireland as he was making his way to the South Pacific from Scotland. Together they work to better humanity, and hope their own wish of being re-united with their families in peace, and harmony happens someday. Mystic Investigations had the pleasure of an invite to Fantasy Island in July of 2016! I’m reluctant to say that it was better than Santa Claus’s North Pole City. Sorry Santa but mind blowing events of enchantment occurred there would never be allowed in your sainted sacred sanctum of Christmas!